At MP ILLUMINATION -since 1973- we design, manufacture and produce architectural lighting for architects, designers and contractors to integrate these fittings into residential, commercial and professional environments , being certified by ISO 9001 from DQS GERMANY, for the quality management system processes and internal activities. Moreover, the company offers the possibility of OEM services. The lighting fittings we produce are consisted of parts- accessories of well selected and certified suppliers from our country and abroad. The construction, as well as their assembling are effected in our industrial premises in Greece, in coordination and cooperation of our in-house departments of luminaire’s design . “R& D”, quality control , testing and processing the production of luminaires. Our lighting fittings of are manufactured, checked and tested in compliance to the general standard of the European Union for lighting fittings EN-60598 and they are CE marked on their bodies and packing boxes. The safety testing of MP lighting fittings are carried out at ELOT testing laboratories, as well as other certified laboratories. 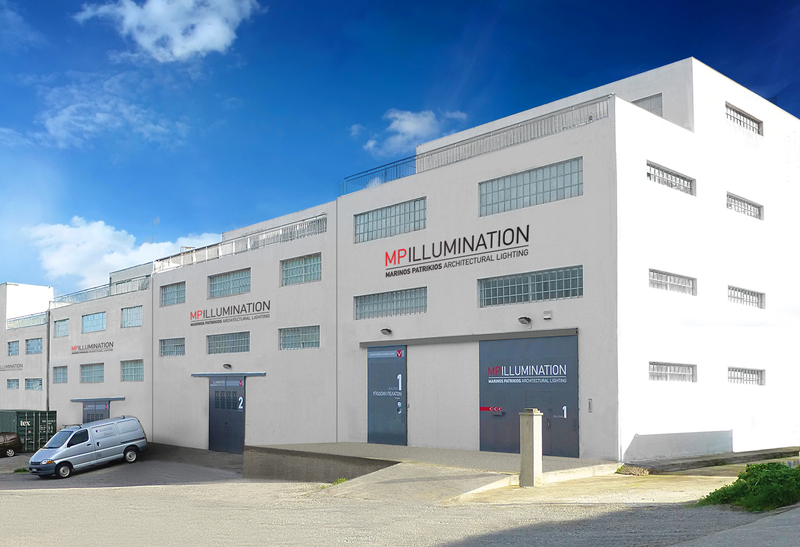 MP ILLUMINATION – MARINOS PATRIKIOS, specialises in designing, manufacturing and producing indoor and outdoor architectural lighting fittings and luminairy systems. Incorporated in Athens, having central offices in Piraeus ( 8, Ηatzikiriakou Avenue) and factory & showrrom in Skaramangas ( Pentagion & Tritonos str.) , the company’s successful progress lies in the excellent knowledge and experience of lighting technology, the use of high-engineering performance and safety standards, and the modern aesthetic designs. MP ILLUMINATION has the product range, experience and knowledge to meet the functional and aesthetic needs of your project. Our product range varies from houses and hotels, offices and buildings, hospitals and airports, and landscape projects, small to large scale developments. Furthermore, MP, by producing special lighting fittings according to customer needs (OEM service). MP ILLUMINATION promotes its ecological conscience and invests in energy saving technologies. MP is a shareholder of FOTOKYKLOSI S.A., a collective system for the alternative management lighting lamps and electrical equipment, accredited by the Ministry of Environment, Energy and Climate Change. The company’s central offices, showroom and factory are situated at Piraeus Skaramangas Industrial area, very close to shipyards, in privately owned premises of 7.000m².